After work the other day I popped into my local B&M store to have a look around. I always have a good nose around the health and beauty section because you’re always going to find a deal, and that I did! 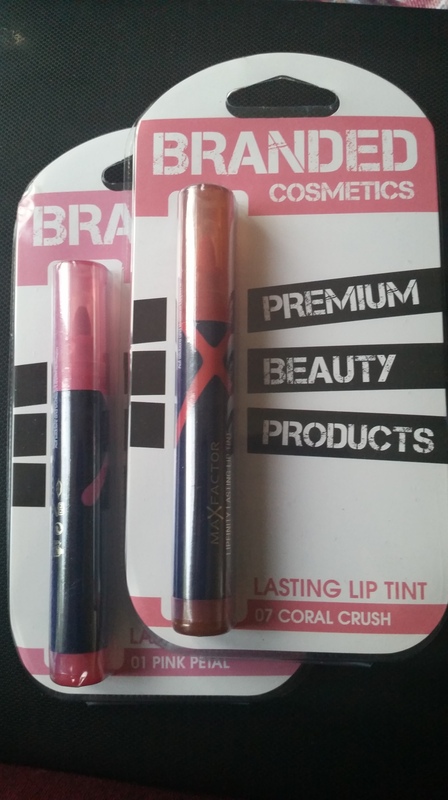 I picked up a few lip products, two of them being Max Factor Lipfinity Lasting lip tint in #07 Coral Crush and #01 Pink Petal. For only £1.99 each I simply could not refuse! Especially when it retailed originally for £7.99. Yes this is probably discontinued stock and yes it has been re-packaged but by George, it’s a bargain! 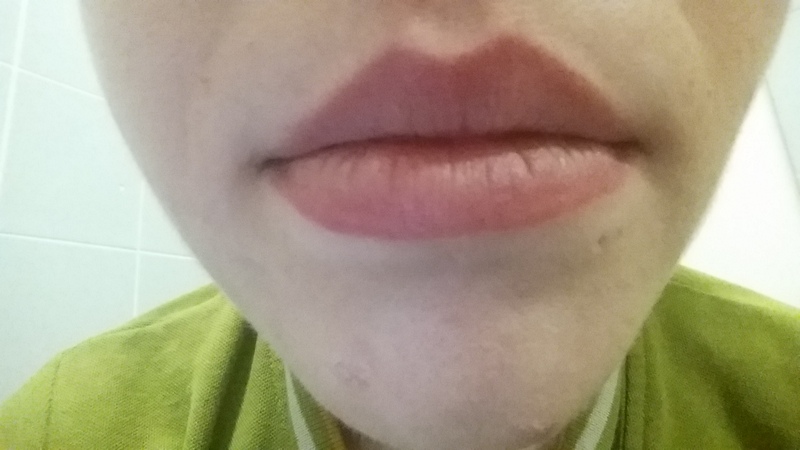 This is my first “lip tint” and I wasn’t really sure what to expect. It looks like a thick felt tip marker and applying it felt like I was drawing my lips with a Sharpie. Although a Sharpie probably would have done a better job at lasting on my lips. The place where I work if fast-paced, customer facing and sweaty. I need a product that I can put on and forget about, knowing that it’ll still be there when I check my reflection quickly in the coffee machine pouring my millionth cappuccino. 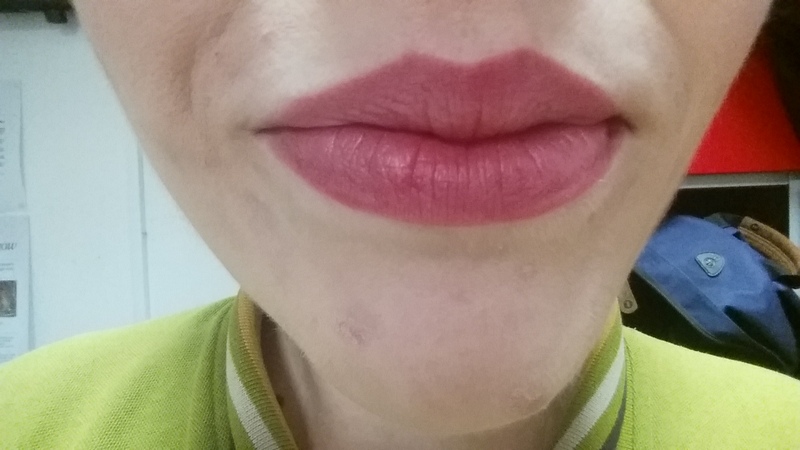 I had high expectations of the Lipfinity lip tint as I had previously swatched it on my hand a few days before and it was still stained on my skin. Let’s get this started shall we? 11.05am: Break time. After a busy breakfast and smiling so much my cheeks got cramp, I sit down and have my own coffee(extra strong). The initial vibrant colour is gone and I am left with a slightest hint of colour, probably the same colour after feeling a bit flushed as a handsome set of strapping guys who I’ve watched from afar for two years have just popped in for their morning regular. 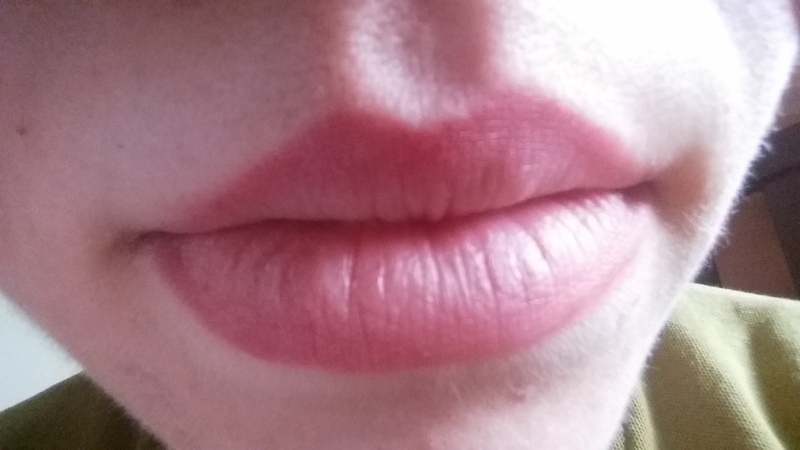 Constant closed mouth smiling has lead to the middle of my lips rubbing the colour off almost entirely, leaving a profound lip liner. Second coat is needed and applied for shift; round two! 05.07pm: End of shift. practically all the colour has gone except for this blasted line around my lips. They look sore. Time to go home now, fall on my bed and sleep. Overall I am very disappointed in this product. Boooo! You promised me so much but like many of life’s promises, you’ve let me down. The colour started to fade quickly and what remained was patchy and unflattering. It’s sad because the first coating gives you such a nice colour and natural texture, because of the liquid it doesn’t look like you’re wearing a lipstick or a gloss. If I paid the full price of £7.99 I would definitely be taking this back. Sadly this lip tint doesn’t last as long as I do. However, you get what you pay for and it would be perfect for a night out, coffee with friends or an undercoat of a lipstick.